Below you will find answers to frequently asked questions related to Pipettes Check & Calibration and Good Pipetting Practice. A pipette is a laboratory tool to transport small amounts of measured liquid accurately by aspiration and dispensing the sample. Today the majority of pipettes are piston pipettes and create a partial vacuum above the liquid to aspire the liquid, herewith avoiding contacting mechanics. What is a calibrated pipette? A pipette is calibrated when the expected volume with the actual volume delivered by a pipette are determined together with the associated measurement uncertainty by an accredited institution. Purpose is to prove if the pipette is still within its manufacture or ISO8655 specifications to deliver accurate results. Pipettes out of tolerance can often be serviced, adjusted and re-calibrated. Where is a pipette used? Piston Pipettes are typically used in chemistry, biology, clinical and medical areas, where liquid samples are taken and must be transported often in small and accurate quantities for further dilutions, research and analysis work. How to use a pipette? Here are some very common pipetting techniques and errors for piston pipettes and how to avoid them. How to check pipette accuracy? Pipette accuracy shall be checked regulary between calibrations, to avoid out of tolerance results between calibrations. To check the pipette at least the nominal volume shall be dispensed in a beaker on an accurate analytical balance at least 4 - 6 times of which the average volume and deviation can be calculated using ISO8655 formulas. Balances with a built-in application or PC software deliver a Pass or Fail result within seconds automatically. How to check pipette calibration? Pipette accuracy shall be checked regulary between calibrations, to avoid out of tolerance results between calibrations. To check the pipette at least the nominal volume shall be dispensed in a beaker on an accurate analytical balance at least 4 – 6 times of which the average volume and deviation can be calculated using ISO8655 formulas. Balances with a built-in application or PC software deliver a Pass or Fail result within seconds automatically. Why is pipette calibration important? A pipette calibration shows the difference between expected and actual volume, which shall be within a given tolerance. If it is outside tolerance it can produce falsch dilutions and in the end even wrong analytical results. As a consequence results can't be reproduced and whole analysis have to be redone. To detect an out of tolerance pipette early, it is recommended to check the pipette accuracy also between calibrations to avoid that the out of tolerance is first detected at the next calibration. 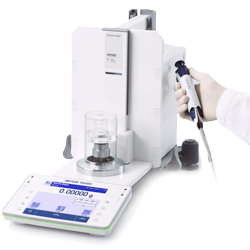 With a pipette calibration the expected volume with the actual volume delivered by a pipette are determined together with the associated measurement uncertainty by an accredited institution. Purpose is to prove if the pipette is still within its manufacture or ISO8655 specifications to deliver accurate results. Pipettes out of tolerance can often be serviced, adjusted and re-calibrated. How to clean a pipette? Before start cleaning first always consult the manufacture manual, because material resistance differ per brand. For a good cleaning, piston pipettes need to be dissembled. The tip ejector arm and cylinder can often simply unscrewed by hand to open the pipette. Be careful: the spring pressure can cause that parts jump off. Parts can typically be cleaned with a cloth lightly soaked with a mild soap with distilled water or using an Isopropyl alcohol or Ethanol solution. Avoid that liquids can enter the shaft, also during pipetting to avoid contamination of the piston and seal. For sterilization or autoclaving, look into the manual if and how this can be done for the desired pipette model. After cleaning the pipette shall be check if it is within tolerance. Typically a pipette service technician performs a calibration after service to verify and confirm that the pipette is within tolerance. Solutions that enable Quick Check within minutes up to daily decicated performance checks supported by RFID and software that track the status of your pipette anytime anywhere. 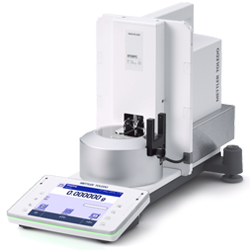 METTLER TOLEDO's weighing reputation combined with process oriented software result in efficient, reliable and compliant pipette calibration process according ISO8655.